Hooray! March 20th was officially the first day of Spring. Depending on where you live, you might not be so convinced…we understand. Making Eco Craft Flowers is a great way to get the kiddies into the spirit of Spring. Get out the craft supplies and make colorful flowers that will bloom even with that white stuff still on the ground. 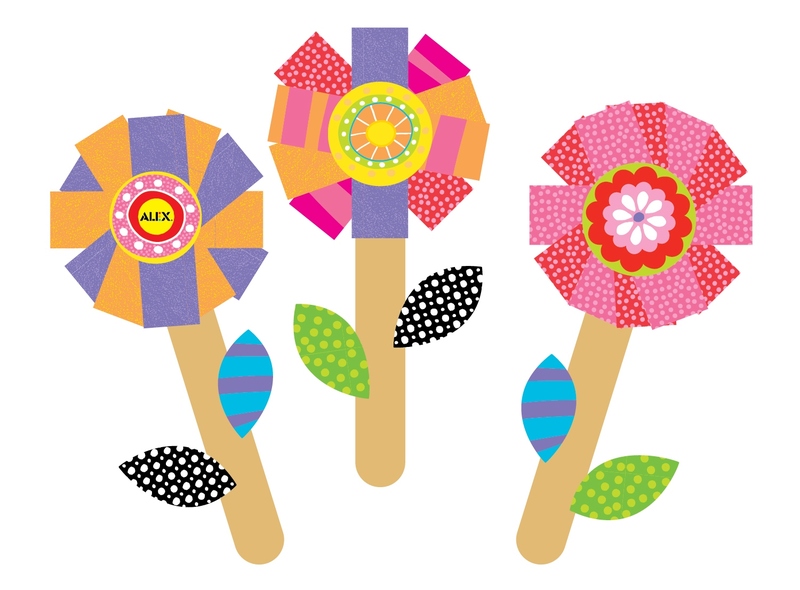 *Instead of using store bought craft sticks, recycle and reuse the ones from your ice pops! Countdowns are a fun way to keep kids interested in an event they may otherwise forget about. It can also help them to understand and gauge the length of time that will pass before the day arrives. Countdowns can put a fun spin on learning numbers and counting backwards – whether you’re counting down 10 days, 100 days or 365 days of the year. This craft printable is great because it’s fun to make and visually appealing to hold the attention of little ones. Each strip of paper is equipped with a basic number 1-10 which will help teach number recognition and linking the loops together will help little ones learn to count in order. Use the Countdown Caterpillar to countdown to the 1st day of Spring on March 20th, 2013!